In June, I had the privilege of representing the Propagation of the Faith speaking at all the Masses at St. Bonaventure Parish in Manomet, MA. The parishioners heard about our “One Family in Mission” and the work done in the name of all baptized Catholics by the four Pontifical Mission Societies. By explaining all four Societies in brief, it brought me to the story of a missionary that I believe embodies our work best. Fr. Tom Hagan, OSFS runs a group called Hands Together in Haiti; I visited him there in 2003 and marveled at the work that he accomplishes. 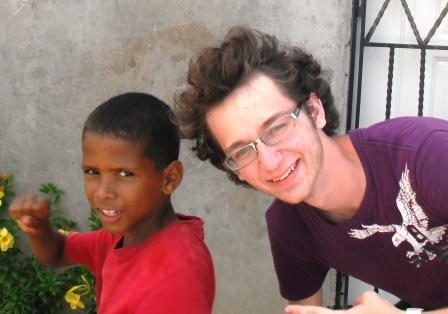 I shared the stories from my trip with the people of St. Bonaventure – how I was up at 5 every morning for Mass and Morning Prayer in English and Creole, helping in a Feeding Center for children. We would move on to a Wound Care Clinic where I helped to stitch and clean wounds of the homeless of Port-au-Prince. Next was the HIV/AIDS hospital – most patients received palliative care only. My job was to massage their aching bodies and help them find some relief from chronic pain. Since my Creole was basic at best, I found that singing to them was the best way of communicating. Soon the patients and I were taking turns, singing to each other! After one of the Masses in Manomet, I was approached by someone wanting to learn more about our children’s mission society, the Holy Childhood Association. Rachel Patnaude, DRE for the parish, was intrigued by the idea that her students could make a difference through their faith for children around the world. We agreed that I would come to speak to all three summer sessions (and the fall session too!) about HCA; the students were excited to learn that because they were baptized, they were missionaries! 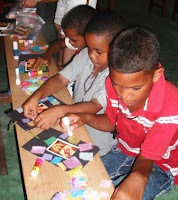 They promised to pray and sacrifice every day for the rest of the summer for children around the world that don’t share in our spiritual and material blessings. By summer’s end, countless Hail Marys were said daily and over $500 was sacrificed. Our One Family in Mission is blessed by the membership of parishioners both young and old at St. Bonaventure. For more information on how to enroll your children as members of the Holy Childhood Association, please call me at 617-779-3871 or email mheil@propfaithboston.org . Last week, I was visited in our offices by two bishops from India, Bishop Francis Antonisamy from the Diocese of Kumbakonam and Bishop Stanley Roman from the Diocese of Quilon. The missionary bishops who visit us are thoughtful and generous and always bring gifts to us. Bishop Antonisamy brought me a beautiful gold shawl. Bishop Roman brought some almonds that were grown in his country—a strong symbol of the fruits of the labors of his people. These gifts are their way of expressing friendship and esteem for the person they are visiting. In fact, if you check out Cardinal Sean’s blog this week, you will see a picture of him with Bishop Antonisamy. The Cardinal is wearing a shawl similar to the one the bishop brought to me. I was honored to be the beneficiary of their kindness. The civil government in India makes it difficult for young Christian men and women to obtain an education. Catholics are just five percent of the local population—a clear minority. Your generosity to the Society for the Propagation of the Faith enables the bishops to pay tuition expenses for a few students each year. The hope is that, once these young men and women are educated and have good jobs, they will be able to help others do the same. It is this kind of “paying it forward” that allows the Church to grow and to allow Gospel values to influence their communities. To add to the challenges, most of the priests in these dioceses serve in widespread and remote areas and among people who are struggling to survive financially. Neither the diocese nor its local parish communities can adequately support them. The provision of medical care and insurance is another responsibility that devolves solely on the local bishop. The Mass stipends sent to these missionary priests from our office in Boston provide significant support to them as they live and preach the Gospel message. If you would like to know more about the Diocese of Kumbakonam you may check it out on the web at http://www.dioceseofkumbakonam.org/. 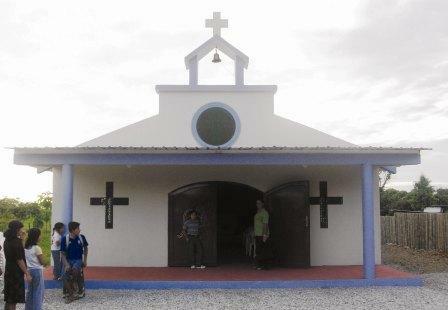 The web address of the Diocese of Quilon is http://www.quilondiocese.org/. Fr. Rodney J. Copp, J.C.L. A few weeks ago, we had the pleasure of a visit from Fr. 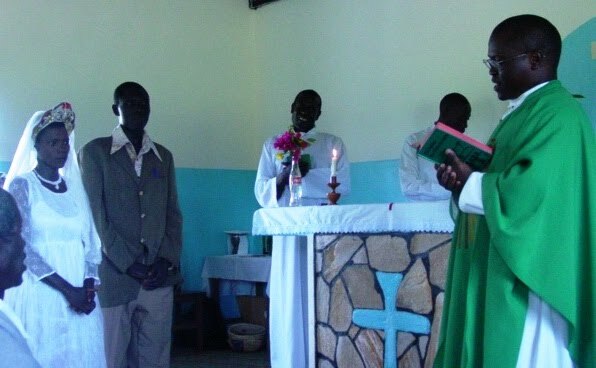 Deogratias Ekisa from the Archdiocese of Tororo, Uganda. Father was in Boston to speak on behalf of his Archdiocese at St. Patrick Parish in Roxbury as part of the Propagation’s Missionary Co Operative Program. He spoke of his own parish life in Uganda, sharing the details of the differences and the similarities to parish life here in the Boston area. Fr. Deo’s parish is considered a small one – there are 4000 members spread over 12 different locations – a main church and 11 mission stations, some of which are up to twenty miles apart. He serves them “as best he can”, he said, travelling between them on a motor scooter. 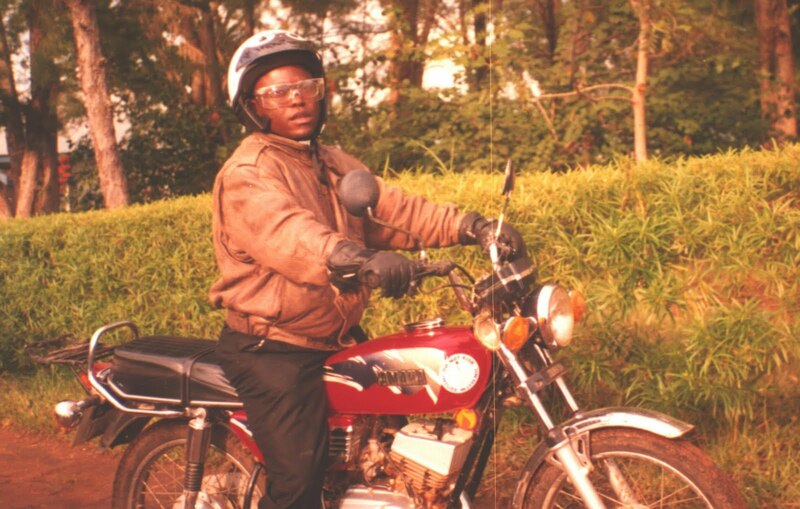 Every Saturday, he spends the day at an outstation; on Sunday after 8 AM Sunday Mass in the main church, he heads to another. By splitting his time in this way, he makes it to every outstation about once every two or three months. When he is not able to be at a particular place, a catechist gathers the parishioners in a small church, a classroom, or in some cases, under a tree for a Scripture lesson and a Communion Service. Because his visits are infrequent, Fr. 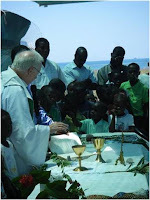 Deo takes care of all the sacramental needs of his people at once – he told us of a single Mass in which he had 100 First Communions, 60 Baptisms and a wedding! Fr. 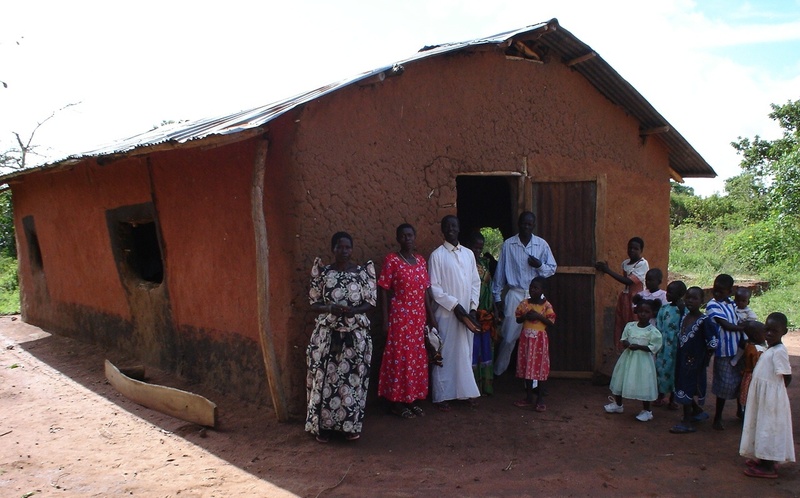 Deo is grateful to have help from the Propagation of the Faith in the building of the small churches at his outstations; though tiny by our standards (some only 25 by 50 ft.), they allow hundreds of people to worship in a sanctified space. One of the locations now has a clinic and a growing school, all made possible by the generosity and prayers of our donors. To hear Fr. Deo, go to our channel, www.youtube.com/propfaithboston . You’ll find his videos there, reflecting on his parish life and his message to donors here in the U.S.